In the Southern part of France lies a village called Avène. It might have been like any other French town, away from the capital — that would be little known outside of France — were it not for the presence of the Saint Odile Spring, from which sprang forth a healing, thermal water. 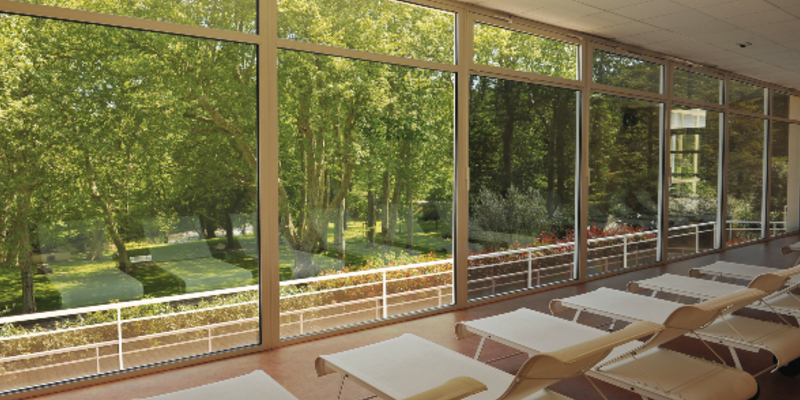 Since 1743 a small hydrotherapy centre has been built around the Sainte Odile spring. The thermal spring water from Sainte Odile has been used to treat dermatological conditions like atopic dermatitis, psoriasis, eczema and burns for over 250 years. 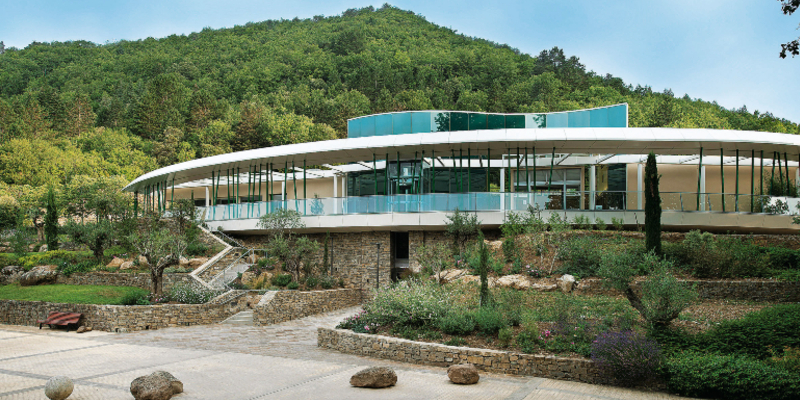 The centre still remains there today, though it has grown to accommodate the hundreds of thousands of visitors from around the globe who flock there for its “miracle” treatments. I was lucky enough to visit it back in 2012 (though I don’t suffer from any skin ailments), as part of a tour with the French pharmaceutical giant, Pierre Fabre, that owns Avène, the skincare brand that also sprung forth from the famous water. But while the Avène Hydrotherapy Centre does excellent treatments on those who suffer from chronic skin conditions (treatment plans typically last two to three weeks and can involve baths in the water and other dermatologist-recommended protocol), it can be difficult knowing how to continue treating sensitive skin on a daily basis. The Hydrotherapy Centre will be introducing a new wing in 2020 that will exclusively treat sensitive skin. Luckily the Avène brand, a staple in pharmacies from France to Singapore, bottles this water both in a spray form, and in its myriad products that include face creams, cleansers and body lotions. But before we go into the dos and don’ts for sensitive skin, we have to ask what exactly sensitive skin is. Sensitive skin might typically present itself as very dry skin, bumps or postules or a tendency towards redness or blushing. While there is no one test for sensitive skin, it’s always best to seek out the advice of a dermatologist to determine if your skin is truly sensitive or if you’re having an allergic reaction to a particular ingredient or fragrance in your skincare. A sunning room in the Hydrotherapy Centre where guests come to sun themselves after a bath in the curative, thermal spring water. As many sufferers of the condition can attest, skin sensitivity might not be obvious or visible the way dermatological conditions like psoriasis or dermatitis are, but often the person experiencing it feels pain, discomfort, itchiness or perhaps a combination of all three. Once you have determined your skin sensitivity, and the ingredients and fragrances that trigger it and thus should be avoided, it’s time to have an action plan for your daily routine. It may sound like simple enough advice, but one of the main irritants for those with sensitive skin are harsh cleansers and the over-washing of skin. Aline Poucet, the international marketing manager (Asia) for Avène says, “We often forget about the cleanser step because we only care about moisturising, but it is important to find a cleanser that is soft on the skin.” Poucet recommends staying away from harsh ingredients like sulfates that can strip the skin and that one looks for cleansers that do the job in a gentle and efficient manner. She recommends the brand’s Gentle Cleansing Foam (S$37.70), Extremely Gentle Cleanser Lotion (S$30.50) or the Gentle Gel Cleanser depending on your texture preference. If your face tends to sting or even tingle after cleansing, you can add an extra step. Poucet recommends misting the skin with the Avène Thermal Water (S$29.90) — that comes in a spray form and remains sterile as it is bottled on site — after cleansing. “When you finish cleansing the skin, always combine it with the Avène Thermal Spring Water. Spray it on the skin in circular motions to counteract the effect of the tap water you’ve used, which can be a little drying on the skin,” she says. Men can also use this spray to calm the skin post-shaving. Refrigerate this in your skincare fridge, or spray it on and cool it with a fan, if you prefer a refreshing blast of hydration. 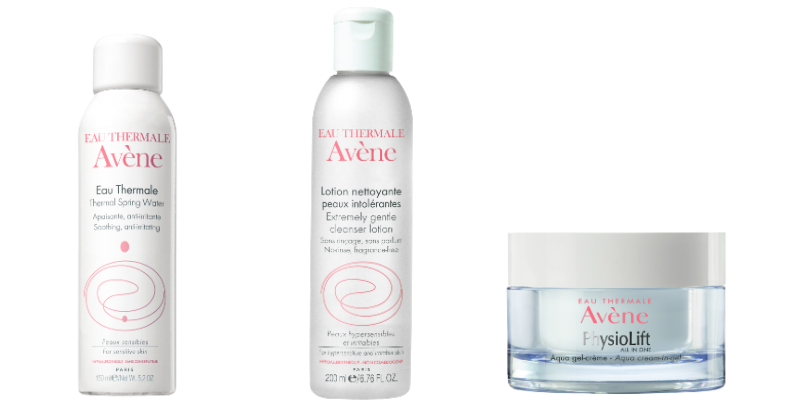 Avène Thermal Spring Water, Extremely Gentle Cleanser Lotion and PhysioLift Aqua Cream-in-Gel. With the trend towards at-home peels and exfoliators it can be tempting to over-exfoliate the skin in order to improve its condition, but this is even more harmful for sensitive skin. Gregory Daures, the international development marketing manager of anti-ageing in Avène says, “When you have very dull skin, roughness or an uneven skin texture, you tend to turn to glycolic acid to help renew the skin, but it can be very harsh on the skin. If you have very sensitive skin, avoid any kind of exfoliation whether physical or chemical,” says Daures. In an ideal world, one would only suffer from one skin affliction at any one time, but in reality, it’s possible to have skin sensitivity and the signs of ageing simultaneously. The brand has recently launched an anti-ageing cream, the Eau Thermale Avène Physiolift Aqua Cream-in-Gel that treats the sign of ageing, while respecting sensitive skin types. “This will rebuild your skin architecture, but there is also a plumping effect due to the collagen. It also gives the skin 24-hour hydration and an antioxidant effect, which is quite important especially when you live in the city because of the pollution here.” says Daures. The cream has been tested on Asian women with sensitive skin to ensure that it is well-tolerated. Even those with sensitive skin types can get their dose of anti-ageing ingredients if they find the right product, and while the texture of this is light, it has been designed to penetrate efficiently into the skin so it makes a visible difference.